My client and I are trying to reset his password so that he can access his account. He keeps submitting a reset request, but he isn’t getting an email. The same thing happened when he purchased the plugin and never received an email confirmation. 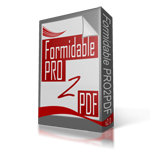 What is the order number, or send the Paypal email address that was used to purchase the plugin to support AT formidablepro2pdf DOT com. Can you send the password reset to my email address as nothing is getting to his from your website.